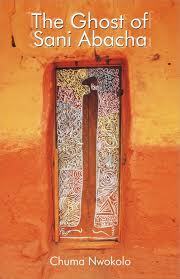 Last year was a great year for African literature and this year is going to be as exciting. Here is a glimpse of some exciting 2012 works. Chuma Nwokolo's The Ghost of Sani Abacha (January 2012) contains 26 short stories, 17 of which were previously unpublished. Ahdaf Soueif's Cairo: My City, Our Revolution (January 2012). Through a map of stories drawn from private history and public record Soueif charts a story of the Revolution that is both intimately hers and publicly Egyptian. 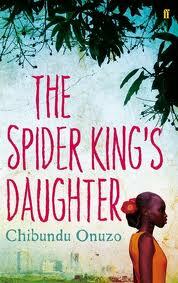 Chibundu Onuzo's The Spider King's Daughter (March 2012) is a modern-day Romeo and Juliet tale set against the backdrop of a changing Lagos, a city torn between tradition and modernity, corruption and truth, love and family loyalty. Seventeen-year-old Abike Johnson lives in a sprawling mansion in Lagos, protected by armed guards and ferried everywhere in a huge black jeep. A world away from Abike's mansion, in the city's slums, lives a seventeen-year-old hawker struggling to make sense of the world. When Abike buys ice cream from the hawker one day, they strike up an unlikely and tentative romance, defying the prejudices of Nigerian society. But as they grow closer, revelations from the past threaten their relationship and both Abike and the hawker must decide where their loyalties lie. 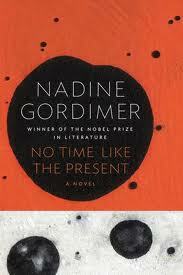 Nadine Gordimers' No Time Like the Present (March 2012) tells the story of Steve and Jabulile, an interracial couple living in a newly, tentatively, free South Africa. They have a daughter, Sindiswa; they move to the suburbs; Steve becomes a lecturer at a university; Jabulile trains to become a lawyer; there is another child, a boy this time. There is nothing so extraordinary about their lives, and yet, in telling their story and the stories of their friends and families, Gordimer manages to capture the tortured, fragmented essence of a nation struggling to define itself post-apartheid. Taiye Selasi is also set to release her debut novel Ghana Must Go sometime this year. Eeeee I want all of these. The Cairo work especially is going to test my book buying ban / challenge with my roommate that I'm doing. I want it, and I want it now! I go to Cairo in March so you know, it seems like it would be a good book to read before going!! I know right? They all sound so interesting. As for your book buying ban/challenge, I'm sure you can count it as necessary information you must read before you travel ;). I've always wanted to go to Cairo - maybe one day. Hope you enjoy your time there.